The Ultimate Product Battle! 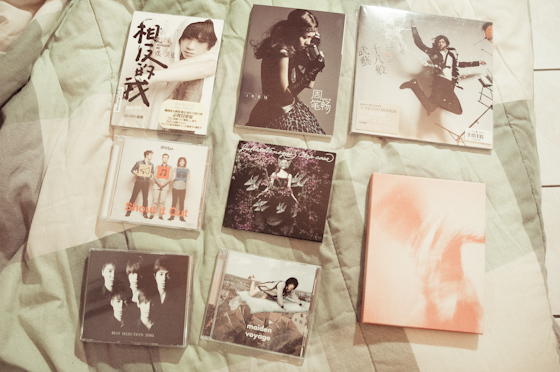 Japan, Hong Kong, Taiwan, Mainland China, Latin America, America – Standard and Limited Editions! | personal.amy-wong.com - A Blog by Amy Wong. 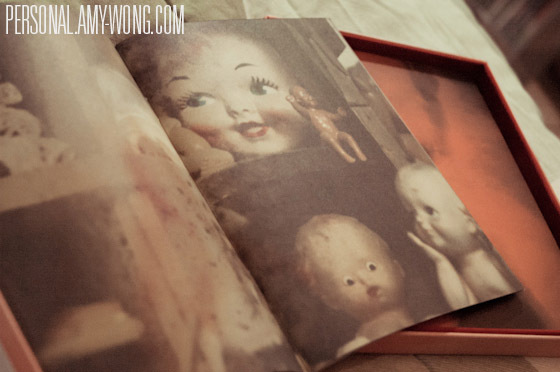 This Taiwan edition re-issue of Jing Chang’s 2nd album contains one extra song. Plus! An 8-page songbook with the lyrics, and 5-6 photos. There’s even an invitation to Jing’s bday. 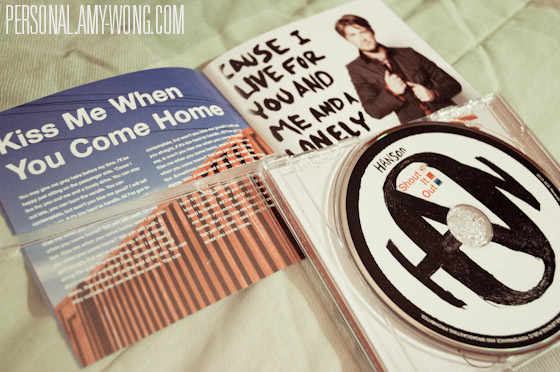 LOL You also get an extra DVD – Region Free – with Jing’s 6 singles in music-video form. Yup, 6 singles in the span of 2 or 3 months. And let me tell you Broken and The Opposite Me videos are great. Average commercial value? $15 – really good deal. This Mainland China edition comes with a folder – not photographed – that includes a sample CD with Bibi’s 3 singles from the album… which you can give away to others actually because you already got the album. There’s also a poster, and what looks like a boarding pass with photos, writing and Bibi’s signature. The album, in itself, has a complete 10-page songbook with 6-8 nice photographs… and double packaging. Plus another poster. Regular edition comes actually with different packaging. It’s the size of a 7-inch vinyl, so it comes with a 7×7 10-page songbook with the lyrics and 10 photos… plastic cover. Average commercial value? $12, not bad. Not aware of any other edition. 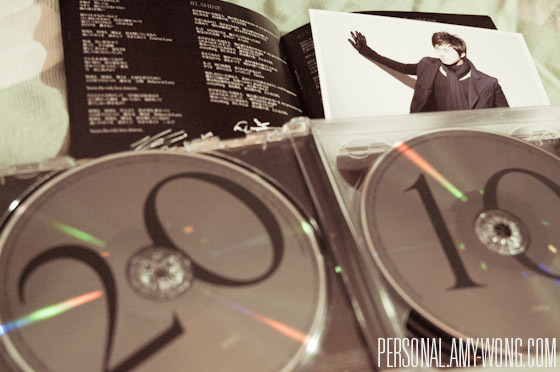 Regular American edition with jewel case, songbook of 12 pages with all lyrics and 8-10 photos. Ah… Latin American albums. Not big on editions. This one comes in a simple digipak and a sig-page songbook with some extra photos. Commercial value? $15 – wha? The special limited edition came with immediate music download of the album in mp3 format, 4 live performance videos in mp4 format, the trailer for Go Quiet in mp4, Go on CD, Go Quiet on DVD, an 8-page photobook. 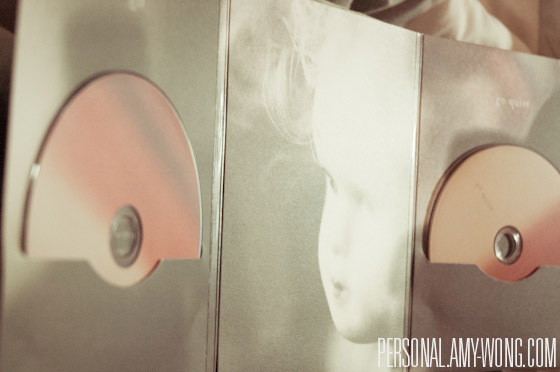 A double-lid DVD case holding the two dics, and a canvas-wrapped box with a blurry image of Jonsi. When I got it, there was a card saying there were more goodies on the way – and the website also says there’s more goodies… but I never got other goodies. I jsut contact them about it. This Hong Kong edition is actually the Korean Edition (of the Japanese version?). It comes with two CDs including over 20 songs (16 of the best tracks, and 9 selected by the members), a 12-page songbook that includes all the lyrics, and 5 pages for photos of each member. Best feature? A DVD with the highlights of the groups tour, which is like 70-min long. 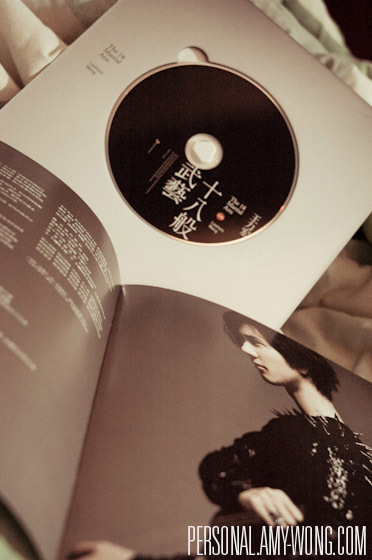 Plus a random print on one of the members, and because it’s the Hong Kong edition, it comes with an extra songs page with the lyrics in traditional Chinese… which would be useful, if… you know, I knew Chinese. I’ve talked about this before, but I never posted a photo of it. 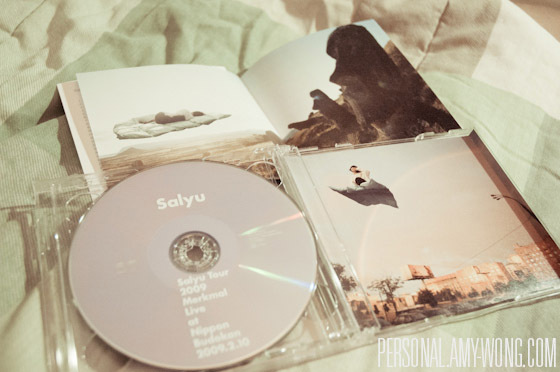 This Japanese First Edition comes with an extra DVD with Salyu’s performance. That amount of footage is worth the price for it alone. It also includes a 10-page songbook with all the lyrics and 4 photographs. The cover is also printed on glossy paper which gives it a different look to other inserts. So… which editions do you favor? 3 responses to The Ultimate Product Battle! Japan, Hong Kong, Taiwan, Mainland China, Latin America, America – Standard and Limited Editions! Chinese ones! Cheap is best! you like Ikuta Toma? Twitter-stalking you xD – then why aren't u watching Unubore Deka? If I like Ikuta Toma? And I am not watching just simply cus I am busy with school. I haven't even started watching Yoochun's drama. YOOCHUN'S DRAMA!! That would pint point how busy I am….